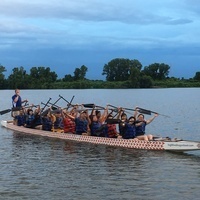 Join Webster at the Dragon Boat Festival: Register Now! •Why: One Webster participant from last year summed up this event as “an unforgettable experience, just incredible!” Develop your teamwork, learn to row a Dragon boat, enjoy live performances and vendors, meet new people, receive a T-shirt and food, and support a good cause, all for free! Proceeds from this event go to support Operation Family Help, a non-profit assisting families with medical needs not covered by health insurance. Organized and fees covered by the Webster University Confucius Institute.